2019 TOURS (May & July SOLD OUT!) October 2019 – AVAILABLE!! Following our VERY successful SOLD OUT 2015, 2016, 2017 & 2018 tours, Exclusively Bali is excited to announce our 2019 Exclusively Bali Tour, incorporating homeware shopping and interior design. Whether you’re sourcing stylish wares, seeking interior inspiration, or you’re simply a design and homewares tragic seeking some tropical island time, join us in this fully hosted luxury ladies tour. Indulge yourself in a sensory overload of chic design and décor inspiration – with plenty of “me time” for indulgent spoiling and dining. Immerse yourself in true Exclusively Bali-style hospitality in luxury boutique accommodation in Sanur – the birthplace of Bali Style! Indulge in the ultimate sumptuous tour experience! And still plenty of opportunity to grab some “me time” to simply relax and refresh. Come along with your bestie, your mum or your daughter or be very welcomed as a solo guest. Note: These tours will be kept small and exclusive for other like-minded women. Numbers are strictly limited! – All concluded and a Great Success!! What others had to say…. March 2016 from Mary: “I just wanted to say a quick but belated thank you to Exclusively Bali for a fantastic Ultimate Homewares Tour last month. What a wonderful time we all had! Like minded ladies doing what they love best: shopping, relaxing, shopping, eating, shopping, drinking, shopping, indulging … and, of course, shopping. Our hostess planned and coordinated everything superbly – nothing was left to chance. Welcome packs, a well-balanced itinerary, transport, treats and indulgences, advice, and a range of shops to explore, which would keep even the fussiest shopper satisfied. It can’t have been easy catering to different tastes and personalities; some of us had been to Bali many times before, some just a few times, and one of us was a Bali virgin! For someone who has been to Bali so often, I was surprised to visit so many shops I’d never been to before. Furniture, shell, stone artifacts, market stalls, homewares, gifts, interior design – we covered the range. My favourite place was filled with antiques, chandeliers and restyled treasures. There was plenty of down time to get to know each other, and enjoy all that our resort had to offer. Our resort accommodation included beautiful gardens, two lovely pools and a great beachside location to explore. We’d start each day with an excellent buffet breakfast and as many cappuccinos as we could swallow, and then take it from there. Our first day was a non-shopping day, starting with a tour of a 5 star, designer hotel and followed by a 5 star brunch. Oh my, talk about a BIG day. Suffice to say: ‘what happens at brunch stays at brunch’. We laughed so much our ribs ached. Over the next few days, we participated in shopping trips, and indulgences like a massage at an award winning “Worlds Luxury Spa in Bali” and high tea at an old world famous, Indonesian teahouse – all included as part of our package. Free time was spent doing our own thing, shopping for clothes, having spa treatments… whatever took our fancy at the time. We also headed out of town to explore markets and wholesale outlets, stopping for lunch to admire the lush beauty of Ubud. When we left our resort accommodation, we seasoned shoppers stayed focused on the shopping at hand despite the stunning scenery of central Bali. We were women on a mission, after all. So what did I buy during my week on Exclusively Bali’s Ultimate Homewares Tour? I did fall in love with so much, but knew I couldn’t buy it all…. I did buy some wonderful copper bowls, new cushions for my home, perfume that I’d been trying to find for a few years, brass handles for my wardrobes, placemats, carvings, compressed towels and holders (the kind you find in restaurants). It didn’t seem like a lot at the time, but I had to buy another suitcase to get my loot home. Once again, thank you to Exclusively Bali for an unforgettable tour”. 2017 from Julie: I did the tour with my girlfriend who was renovating and needing inspiration. I just needed a break so Bali sounded like a great idea. I cant believe how much I bought and how I was able to do that and relax as well! My girlfriend had design inspiration in spades and is now considering bringing back a container of goods. I cant recommend the Exclusively Bali tour enough. Just do it! 2017 from Rebecca: I was hesitant joining as I was travelling alone. I needn’t have bothered being concerned though as everyone was so welcoming. We were taken to stores I never even knew existed – and yet I’ve been to Bali multiple times. I loved that everything was organised down to the last detail. I have a busy job and found it so wonderful to not have to think for once. I cant wait to return with my husband and do even more shopping! (Another persons luggage allowance will make all the difference! lol) Thank you for a great trip Exclusively Bali! ** Be quick to secure your place. Places strictly limited. If you’re a first time traveler to Bali, the following tips should be handy for you. If you’re a frequent traveler to Bali, please add any extra tips that I have not included. Safe travels! Ensure passports at least SIX MONTHS VALIDITY from your return date from Bali to your country of origin. Take a photo of your passport or photocopy it and send it to your email address so you have easy access. Pack lightly as Bali is hot. Natural, loose fabrics have the benefit of breathability as opposed to synthetics. Shorts and T-shirts are fine for males and light sundresses, three-quarter trousers or same for females. If dressing up, a loose shirt and long shorts/loose trousers for men and a long summer dress is mostly suitable for women. Thongs and sandals are commonplace. Joggers are handy if you are to do a lot of walking. Make sure you have a hat as Bali is sunny. Cozzies are a must and a cover-up eg sarong for women is handy. Leave expensive jewellery at home. Inexpensive dress jewellery is readily available to purchase. Hairdryers are commonplace in rooms of midrange plus hotels. Forgot something? Buy it there; shopping is cheap! Assorted toiletries are inexpensive and readily available in supermarkets. Often your favourite products are cheaper there too! A pashmina is handy for the flight in case the temp is too cold. Even a sarong packed in your hand luggage can come in handy! Ensure you have adequate luggage allowance if you intend to shop. Most airline bookings include 20kgs but you will be charged if in excess of this. Most hotels do have scales you can use to check your luggage weight. Take your own as it is pricey in Bali. Remember to SLIP, SLOP, SLAP and wear a hat! Hotels supply their own bath towels and pool towels. Taking your own towel is not necessary. A sarong is handy for the beach. 220 volt 50hz is supplied in Bali. A 2 pin plug is required. These adaptors can be purchased inexpensively. Alternatively, borrow from your accommodation reception. Pack your camera, phone, ipad, laptop etc chargers and take a multi-plug POWER BOARD for ease of charging several items at once as they will only need 1 adaptor plug. Apply it regularly as Dengue Fever is prevalent. Many hotels regularly use a preventative outdoor fogger spray. Suggest spraying your room regularly also, including below bed and in cupboard, behind curtains. Take your medication in their original packaging and take the prescription with you in case you need to replace them. Apotiks are chemists in Bali. Circle K supermarkets often sell basic medicinal needs. Be aware that over the counter medications in Bali may appear similar to those you are familiar with, but may in fact significantly differ. Panadol, for example, comes in various coloured packaging denoting differing ingredients. Ingredients include pseudo-ephedrine for “cold and flu” and caffeine as “Panadol Extra”. Don’t worry if you haven’t changed money to pay the $35US VOA. This can be paid in Australian dollars (allow approximately $55AUS at current rates) and change will be given in Rupiah. So handy to have a few rupiah to pay your taxi driver! Or, if you wish to take US dollars, purchase from your Australian Post Office with no commission. It will take 3 days and there is a minimum spend of $200. Porters will offer to take your bags when arriving at or departing from the airport. They are dressed in uniforms and appear “official”. Politely say NO if you do not want them as they will expect payment for handling of your bags (approx 10,000 IDR per bag). If you have multiple pieces of luggage (especially departing with lots of shopping), the porters can be a godsend!! They will also take you straight to the correct check-in line, so very convenient for a small payment eg.50,000 IDR as a ‘thank you”. WARNING: Unscrupulous Money Changers are common: if the rate on a board seems too good to be true, it likely is! Always change money at Authorised, reputable dealers. An Authorised Money Changer must be formally authorised and identified with distinctive markers. All Authorised Money Changers are obliged to use a logo, they must also prominently display their registration number provided to them by Bank Indonesia on their signboard. If there is no logo and registration number then they are NOT Authorised Money Changers. DO NOT use a Money Changer at the back of a shop, down an alley or laneway. Always count your Rupiah before handing over your dollars. DO NOT accept small denominations as it is often a sure sign they will attempt to short change you. (50,000 and 100,000 are best). DO NOT rely on their calculator as they are sometimes rigged. DO NOT rely on the person counting out the Rupiah in front of you as their hand is sometimes quicker than the eye. DO NOT hand over your dollars until you are satisfied they are giving you the correct amount. DO NOT be distracted or intoxicated either when you change money. Remember to use the hotel safes or safety deposit boxes for your money and passport. I divide up my $100 or $50 Australian notes into envelopes containing $200 each. I label the envelopes 1, 2, 3 etc. This way I know how much I have left and whether anything has been tampered with. Hotel safes should be without reproach, but there have been stories otherwise. Visa, Mastercard, American Express are all readily accepted in hotels and shops (not market stalls!) A surcharge of a few percent may be charged for the convenience. Always be sure you don’t reveal your PIN and be careful that you do not leave your card in the machine. Keep in mind that your withdrawal may be subject to a nominal fee for an international transfer, so check with your bank before leaving home. The other point to note is that your bank may freeze your card if out-of-the-ordinary transactions (such as withdrawals in 4 different countries over the course of a week) appear, so keep a copy of your bank’s contact information on hand. You cannot afford to travel without Travel Insurance! Ensure you are covered for “medical evacuation” as costs can be preventative. Be upfront with all pre-existing conditions. Consider paying a little extra to exclude an excess as each claim, even during the same trip, you will be charged an excess. Send a copy of your Travel Insurance documents to your email address so you have easy access. Carry a copy of your insurers emergency contact number and your policy number in case you need to contact them while out. If you succumb to Bali Belly, the sooner you seek medical treatment the less valuable holiday time it is likely you’ll lose. Ensure your taxi driver has his METER on. Don’t use non-authorised Money Changers. Don’t enter competitions. They are often “time share” schemes eg. someone approaching you with a clipboard – or jumping off a bike, offering you a scratchie and tell you you’ve won a prize! At small supermarkets check the price of your goods and question it if in doubt as tourists are sometimes charged excessively. The Indonesian rupiah (IDR) is the official currency of Bali. Australian dollars are readily exchanged in most of the tourist areas. Foreign currencies like the US dollar, UK pound, Euro and Singapore dollar are also readily exchanged. Major credit cards are widely accepted too. Be aware that unfortunately this does occur! Avoid walking with your bag over the same shoulder as the road is on. Motorbikes have been known to ride past grabbing the bag and often injuring the pedestrian. Whilst riding a motorbike, place your bag under the seat as again, bikes have been known to ride past and grab your bag off your shoulder. If children surround you selling postcards/beads/bracelets be warned you could pick pocketed. This also goes for someone bumping into you or grabbing men’s private parts as a distraction. SAY NO! Airport signs state, “DEATH TO DRUG TRAFFICKERS”. This also applies to drug users. Be wary of anyone selling any narcotic substance. Corruption is rife and sales are often setups to being caught! Be conscious of the predominantly Hindu religion of Bali. Cover up when entering sacred temples and follow any instructions of conduct. Honour the many religious days and festivals held. It is impolite to receive or hand anything over using your left hand or to touch the top of anyone’s head. It is inexpensive to have your clothes washed and ironed. Hotels can be a little pricier, but local laundries are common in the tourist locations and charge by the kilo. Keep up to date with any travel warnings via government webpages. Tipping is not compulsory, particularly when a service charge is often added to services. If you feel the service has been extra good however, it is appreciated. Rounding up taxi fares and restaurant bills is polite. Bluebird taxis are preferable as they have a good reputation and use their meter for your journey. 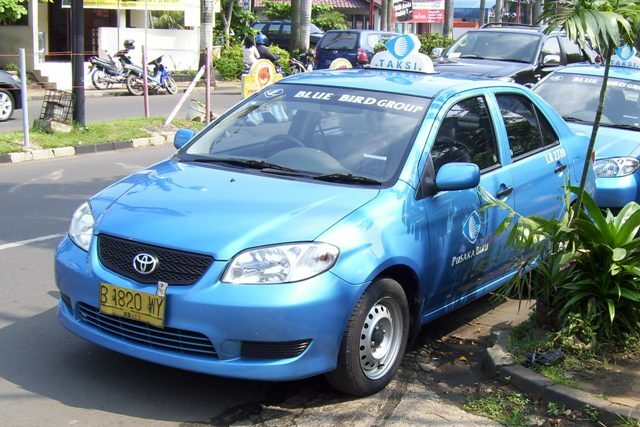 There are many taxi’s in Bali these days and a lot of those are now trying to make themselves look like a Bluebird – even going to the trouble of trying a new tactic where they have a sticker on the front of their cars saying “Blue Taxi Group” to confuse people. They also have a back to front bird like the Bluebird Group so be careful. When using a non-Bluebird taxi, ensure the meter is used otherwise it will be necessary to try to negotiate a fare prior to travel.  Watch the zero’s on your notes as it can be confusing. Do reconsider having one of these! A toxic chemical known as phenylenediamine- PPD is often used in henna tattoos. Serious scarring and adverse skin reactions with hospitalisation has often resulted in henna tattoos. May to September is the dry season. October to April is the rainy season. The dry season offers the best weather with cool, pleasant evenings and sunny days. Unfortunately, this also coincides with “high season” so offers the highest prices for accommodation. The wet season is more humid with heavy rainfall however it mostly never rains all day. Rainfall is most likely to occur in the afternoon and can be quite heavy, warm, tropical and pleasant.  Sama sama is a response to Thank-you. It means you are welcome.  Apa kabar? – How are you?  Baik, terima kasih – Fine, thank you. In the lead up to ‘schoolies’ or ‘leavers’ events it may be a good idea to talk to your child and discuss some of the tips below for staying safe and having a good time in Bali during their celebrations. As if flight delays caused by a natural disaster of volcanic ash spewing into the atmosphere and affecting flight paths in and out of Bali was not enough, further major delays to international travelers could result when Australian Border Force staff strike for 24 hours nationwide on Monday, November 9, 2015. Australian Border Force staff are disputing pay and conditions. It is expected Immigration Department managers may be deployed to plug staffing gaps in a bid to minimise the impact on the public. The affected airports are Sydney, Melbourne, Adelaide, Brisbane, Perth, Darwin, Cairns and Gold Coast. The Community and Public Sector Union (CPSU) has announced its workers will strike from 12.01am to 11.59pm on November 9, the latest escalation in industrial action as the union locks horns with the government over pay, allowances and conditions for those watching over Australia’s borders. A ladies getaway focused on fun, food, shopping, pampering and cocktails! – 6 nights luxury beachfront accommodation at the stunning The Royal Beach Seminyak Bali! And still plenty of opportunities to grab some ‘me time’ or relax with some like-minded ladies. Note: This tour will be kept small and exclusive. Numbers are strictly limited! Volcanic ash from Mount Rinjani, Lombok. photo taken by Antara Foto. Mt Rinjani, situated on Lombok has erupted with ash and debris being blasted about 1 kilometre into the air and blowing north-west from Lombok towards Bali. Flights continue to be disrupted. 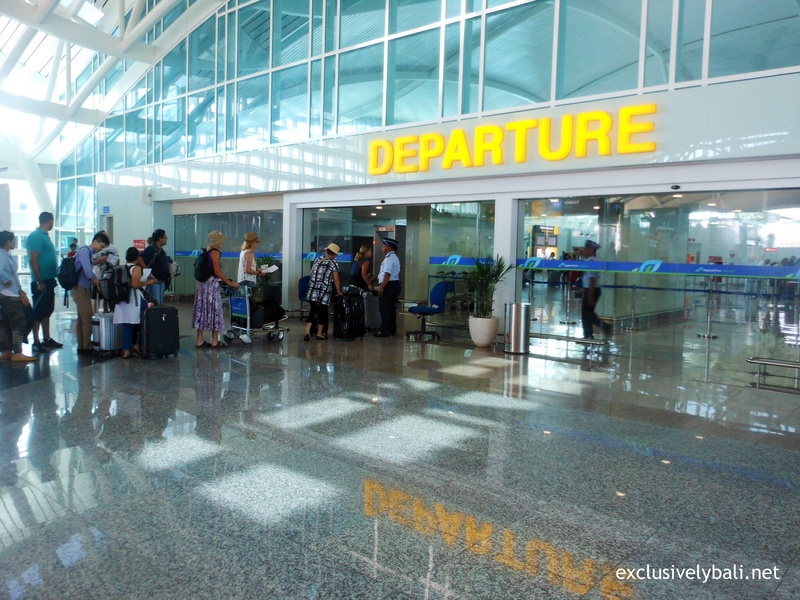 Last night, the Indonesian transport ministry announced that it would close airports in Bali and Lombok until further notice, on advice from the Volcanic Ash Advisory Centre. Even though Indonesia had the most active volcanoes of any country in the world, Bali had been “terribly unlucky this year”, Dr Tupper, a volcanic ash expert, said. And vulcanologists have warned that they do not expect the eruption to finish any time soon. 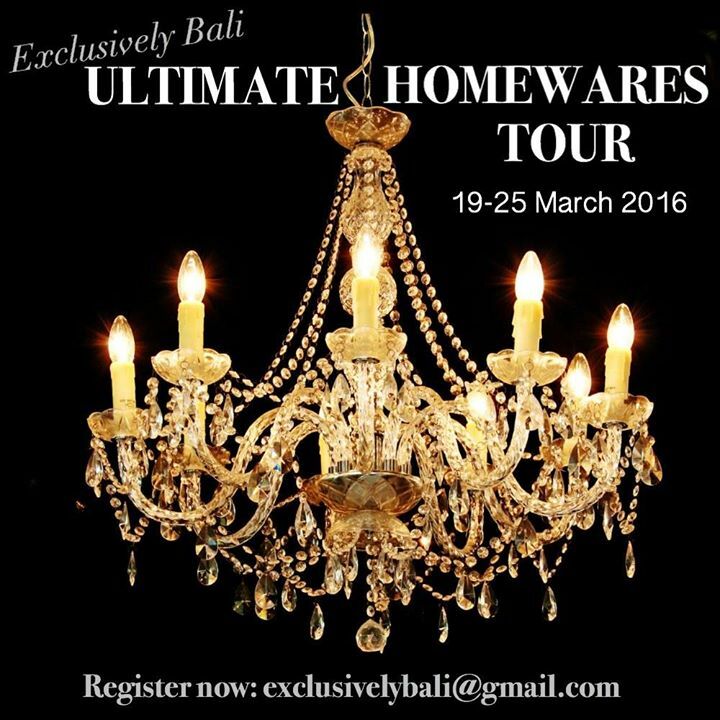 Ultimate Homewares Tour – new 2016 date just announced!! New Laws could see unmarried tourists imprisoned for sleeping in the same room ! INDONESIAN plans to make cohabiting outside marriage a crime, jail adulterers and stop the open sale of condoms are causing alarm in Bali where the laws would also apply to tourists. The island’s politicians and tourism leaders are sounding alarm bells over the controversial proposed new laws, saying the State is interfering in issues of morality which could drive away tourists. The changes are part of a widespread revision of Indonesia’s Criminal Code, known as the Kuhap, which was last revised in the 1950s. The 500-page document, which contains more than 750 articles, is currently before the country’s lawmakers for debate. Under the proposals, cohabiting outside marriage becomes a crime carrying a one-year jail sentence and would apply to tourists as well as Indonesians. The punishment for adultery goes up from nine months jail to five years. Tourism chiefs are concerned that if passed and enforced, by arresting tourists sleeping together and checking into hotels as couples, this would be a major disaster for Bali’s travel industry, which is the lifeblood of the island’s economy. And moves to ban the open sale of contraceptives, which are currently prominently displayed and sold in minimarkets and convenience stores everywhere, have also been criticised. Indonesia’s National Commission on Human Rights warns that the controversial aspects of the new code risk returning the country to the 16th Century and driving away tourists who face jail for sleeping together outside marriage. At its most extreme it could even mean police raids on hotels. Commission member Dianto Bachriadi says the State should not be regulating morality and that if passed, the new laws would mean members of the public are spied upon in their private lives. Mr Bachriadi says that if the article on cohabitation is not dropped it would apply to foreign tourists in Bali. “It is applicable for all people in Indonesia, including foreigners. All people who are in Indonesia could be imposed upon, without exception,” Mr Bachriadi said. Bali politician Ketut Kariyasa Adnyana says the Balinese do not want the new laws and the legislature will convey these views to Jakarta. “The Government’s target is to get more tourists coming to the country. That’s why they create a free visa policy and add more countries to this list. Tourists keep coming to Bali as the Balinese are friendly to all tourists, as well as respecting their privacy,” Mr Adnyana said. He said it was common knowledge that many tourists in Bali are not married but come together and share hotel rooms on holiday. The Bali Tourism Board chairman Ida Bagus Ngurah Wijaya agrees. Plans to ban the public sale of contraceptives, like condoms, are also under fire. Shops would be banned from offering or showing contraceptives and could only sell them if a customer specifically asks. Social groups warn such a law is a setback in the prevention of HIV and AIDS and called for the government to focus on crimes like murder and corruption instead of moral issues. The Institute for Criminal Justice Reform, which is co-ordinating an NGO response to the new criminal code, says it smacks of overcriminalisation. “Too many of the citizens’ acts are qualified as crimes, especially those acts considered to be against religious morals,” executive director Supriyadi Widodo Eddyono said. “This should not be the main priority of criminal code reformation. There are many other articles that should be a priority, such as corruption, money laundering and human trafficking. The revision process should focus more on those things,” he said. The new code also makes black magic and witchcraft, practised widely across Indonesia, a crime, with a jail term of five years for using black magic to cause illness, death or suffering. Indonesia’s parliament is notoriously slow-moving and the new criminal code is not expected to be finalised and passed until the end of 2017. By this time, the Balinese authorities hope the more controversial aspects will have been deleted during the consultation phase.